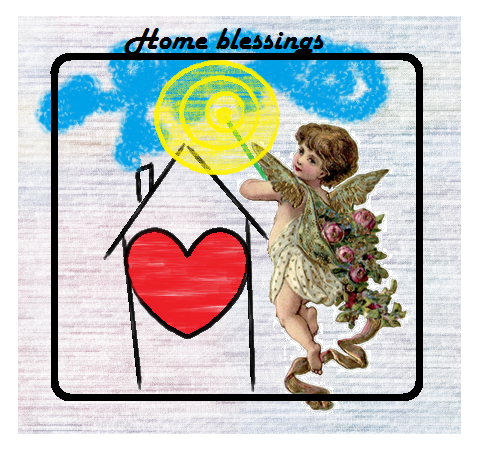 But even more special than the pillow case and flowers, has got to be the home blessing. This is a ‘poem’ or just a special thought that people keep in their home to bless it, and will pass along generation to generation. Zsolt mentioned to his grandmother how one day he’d like to put a home blessing in wherever we end up living – and guess what? Well, I am sure you can guess. She gave him a very special home blessing. This isn’t one she sewed herself, it’s from a generation prior –made by the second wife of Zsolt’s Great Grandfather’s. Unlike the pillow cases, this doesn’t highlight any flowers. Instead it’s very simple. Hol listen ott szükség nincsen. Where God there is nothing else needed. Is that wonderful, or what? I think so very much, and it’s made even more special to realize this blessing has been in several generations of the Mucsi family homes, now to be in ours. We’ll hang it in a place of honour for sure. Where God, nothing else is needed. And you know what else? I believe in staying healthy, happy and cancer-free. In fact, it’s my personal motto. Do you have a home blessing? What about a health blessing? What would you write in yours, if you decided to go ahead and bless yourself with a few simple words? Anyhow. That’s my story of Anna, the garden, her needle work and this beautiful home blessing. I love your stories and this one is really special. I hope you find that new home soon and can hang up the ‘home blessing’ masterpiece. Your health blessing is pretty great too! Thanks, Nancy. As soon as we’re back in Canada we’ll be on the ‘find a home’ project! In Utah family tree/history/ancestry is very big. If Zsolt ever wants online help http://www.ancestry.com is a popular site here. That’s lovely Mandi. Any home that contains love (like you and Mike, for sure!) is most certainly blessed. That is a beautiful gift from Anna to you and Zsolt. “Let me wake up with the spirit of gratitude. Let me see the beauty around me. Let me feel my inner peace. Let me share my love with others.